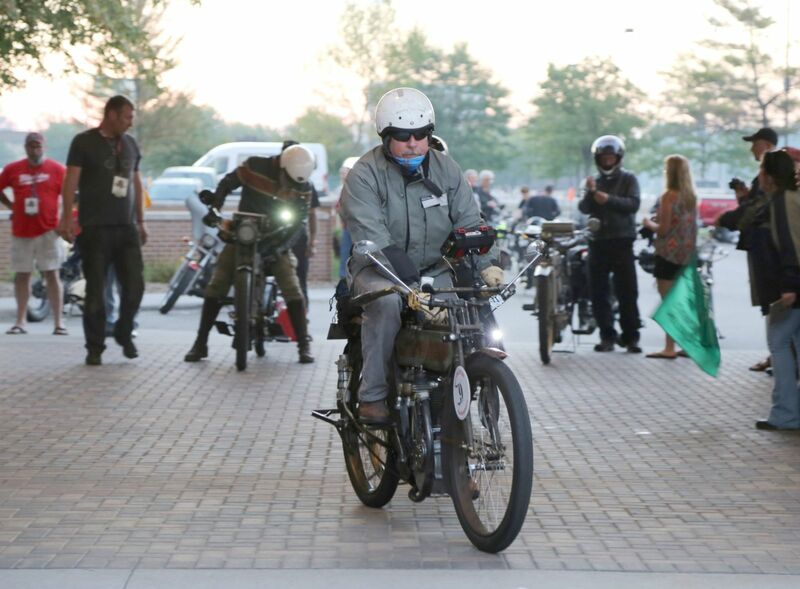 Motorcycle Cannonball Tests Rider and Machine | Hupy and Abraham, S.C.
1911 Excelsior Motorcycle at Brewtown Rumble Behind the Handlebars Host Tony "Pan" Sanfelipo interviews Chris Tibbey about his 1911 Excelsior Auto Cycle at the 2018 Brewtown Rumble. The Motorcycle Cannonball is an endurance ride across America, not a race. 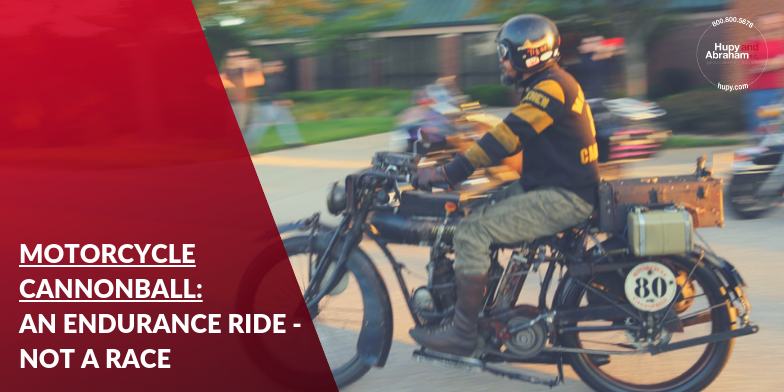 Vintage motorcycles and riders are put through the rigors of long-distance riding on the back roads of the country. This year’s competition started in Portland Maine, September 6, and will end in Portland Oregon, September 22. If you haven’t heard about the Motorcycle Cannonball, check out its website. There you will find the origins and history of the event, meet the riders, meet the staff, and keep track of daily standings and blogs about the ride. For 2018, the motorcycles have to be model year 1928 and older. 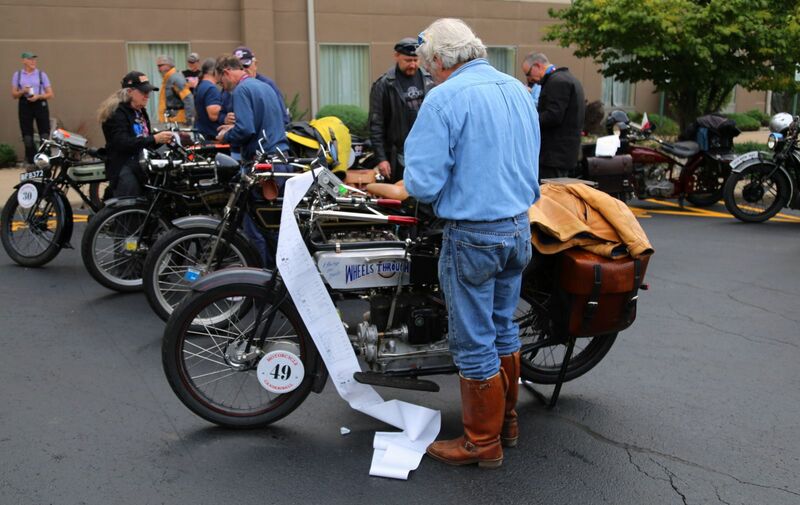 For my Wisconsin friends, the good news is Chris Tribbey, # 9, riding a 1911 Excelsior in class I is currently in first place (as of the end of stage 9-Pierre SD to Sturgis SD, September 17). The bike Chris is riding is a Model K single cylinder, 30.5 cu.in., four horsepower motorcycle with no transmission. Close behind Chris is Dean Bordigioni, #13, riding a 1923 Harley-Davidson JF. Although both riders have perfect scores and have completed the total miles up to that date (2,044), Chris is ahead of Dean in the standings because his motorcycle is older. Some other Wisconsin friends are the first father/daughter team, Doc Hopkins and Kirsten Heling. Doc owns Doc’s Harley-Davidson in Bonduel and Kirsten is an accomplished and record holding racer. 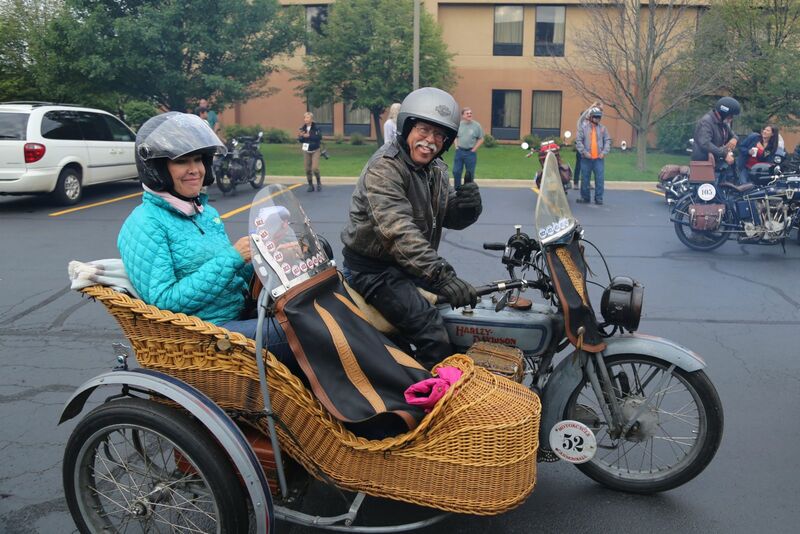 Doc, currently in 21st place, is riding a 1916 HD J model and Kirsten, 32nd place, is aboard a 1922 J model. 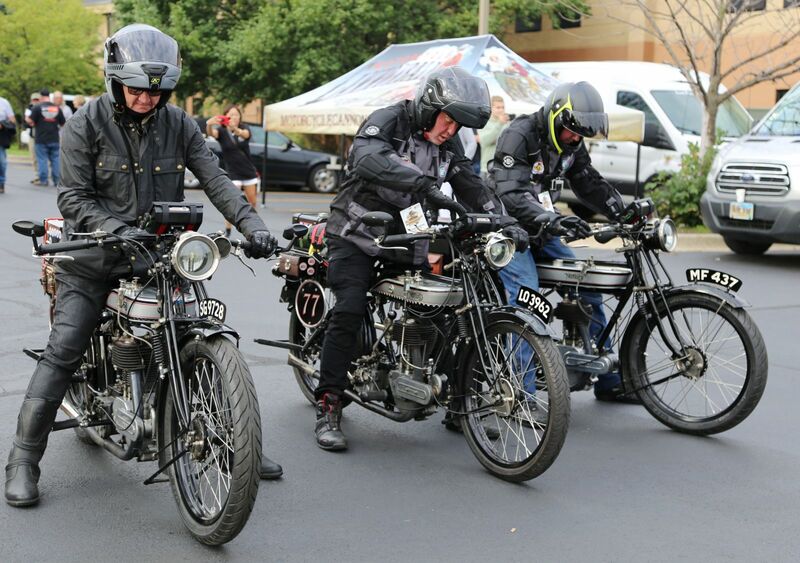 They are in class III and although both have perfect scores, their standing reflects the older model motorcycles with perfect scores that are also in class III. Anything can happen as the group moves toward the end location in Portland Oregon. There are some big challenges ahead as they enter mountain country, including altitude and climate changes. I was fortunate to spend two days with the riders in Illinois and Iowa. I took numerous photos of the competitors and these are some of my favorites. Good luck to all the riders and support staff.